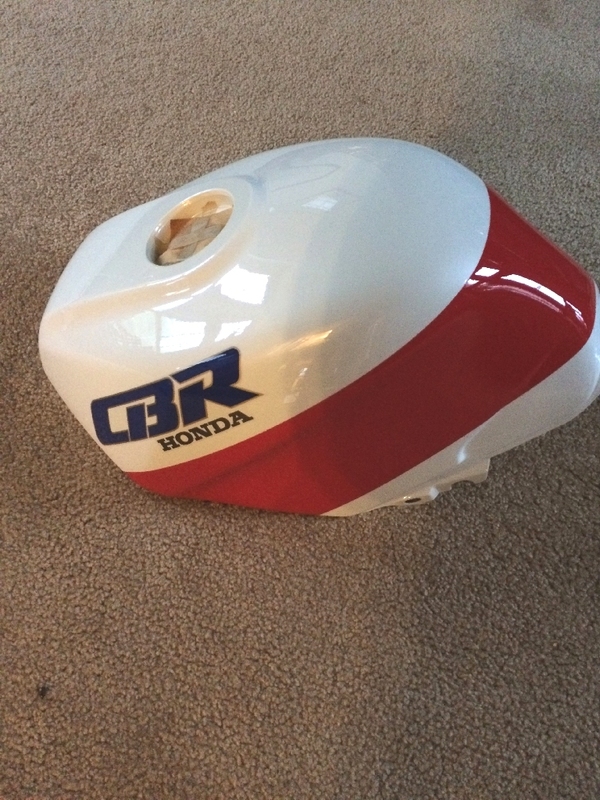 I picked up an NOS (New Old Stock) fuel tank for a 1989 CBR. It's perfect for my next restoration. Amazing! Well maybe thats a strong word but it very cool none the less. No, you were right the first time...it's amazing...the price was too. So I must ask, which is your favorite 600 Hurricane you have owned or do own? That's a tough question because I like them all but I would have to choose the RR Conversion bike because that is essentially a new bike because I replaced pretty much every part when I built it. Has new suspension and brakes so it rides like a new bike. It also sounds really nice with the Vance and Hines exhaust. Yeah that is a really nice looking bike. You did a great job on it. That red/White one sure takes me back though. There's a real clean 90 on ebay right now. Price is up there, but it does look like a stellar example. Thanks. I still can't believe how nice it turned out. When I was doing the paint it was during my back surgery recovery, and I painted each part separately in the basement...trying to keep busy. 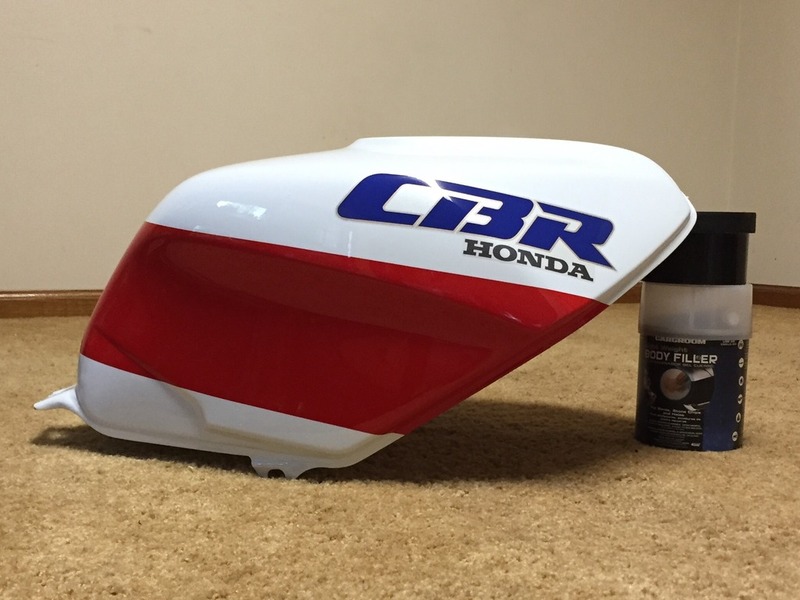 I was shocked when I put it together and the black and white lined up properly from the front fairing to the sides and the tank. I usually would have put the parts on the bike to mask them but the bike was in a different place. 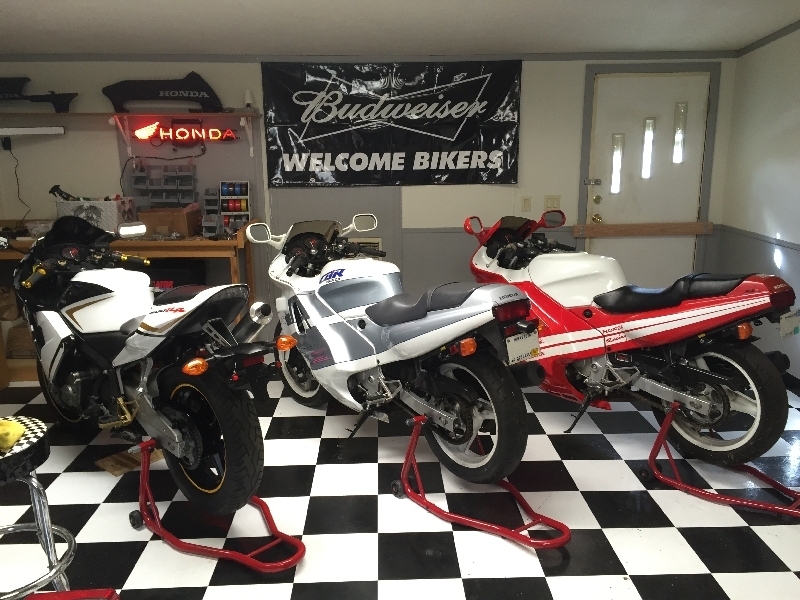 The red and white one is actually a low miles 1990 that will be done white and gray. The fairings are for an 1988 that is in my barn waiting it's turn in the shop. I put the fairings on the 1990 to see if I had everything for the other bike. I have different fairings for the 1990 bike. Been trying to sort through parts to figure out how many bikes I can build. NOS MK1 88 Tank Brand New! Main stand to close from tire, is normal?